At Hellman & Associates, our partnerships with our clients create a highly effective, economical alternative to traditional project-based environmental health and safety consultation. We instill a high bar for safety in your corporate culture, while you focus on your core business. Hellman & Associates opened its doors in 1998 to fill a pronounced gap in environmental health and safety services. We serve as an outsourced safety manager, providing clients of all sizes with the resources they need to achieve the peace of mind of a safe workplace. Our approach is thorough yet simple: balance regulatory compliance and risk management with internal cost savings, timely service, and common sense. In 2005 we introduced our ASSUREDComplianceSM program, an annual partnership that guarantees compliance with OSHA and other regulatory agencies, and the customer success rate has been so high that we have a 98% renewal rate. 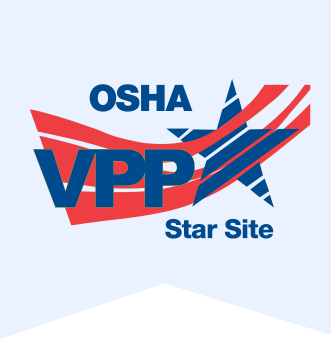 In 2010, H&A made a stand for our commitment to safety, becoming one of just three consultancies in the country to achieve OSHA Voluntary Protection Plan (VPP) Star Status. Since then we have helped numerous clients join this elite group that experiences 50% fewer workplace injuries. For twenty years and counting, we have helped our partners target zero. We now proudly serve over 500 clients across the United States, providing strategy, management, and technical expertise to develop environmental health and safety programs that stand the test of regulatory agencies.